Just finished the first draft of my second novel. 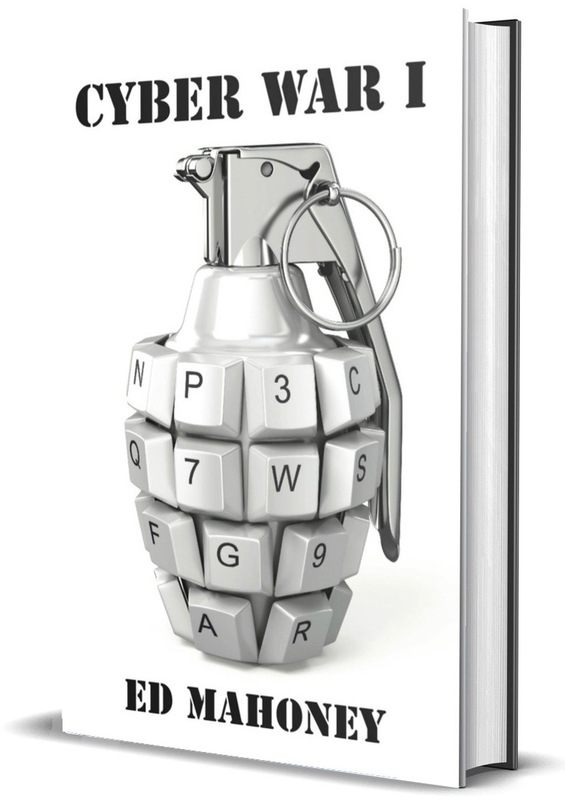 I haven’t named the title yet but I’ve been calling the draft Cyber War II since it’s a sequel to the first book. I already licensed the graphic above for the cover. Nothing says cyberwar more than computer mice dressed up as tanks. Once again, Thanksgiving week plays a special role in the timing of my writing. Two years ago, I took off the entire week to self publish my novel. I’m on a slower schedule this time around, taking two full years to get to a first draft, whereas I completed writing the first book in six months, then edited and published two months later. Still, this week plays a productive role in my personal storyline. For those of you who served as beta readers the first time around, I promise you, this first draft is much more readable. I’ve developed my skills. I can tell it isn’t finished yet though. It’s 40,000 words less than my first novel, 10,000 too short. There really aren’t rules on this but the convention for a tech thriller is to be between 70,000 and 100,000 words. This draft is at 60,000. No doubt, it could use another 10,000 words worth of character development. I’ll take feedback from friends on that. I developed some new characters that I actually plan to use for my third novel. It’s not exactly a trilogy, but the 3rd book will be 20 years in the future, using the more youthful characters from this story, and will be in the cyber punk genre. Always thinking ahead. I know that I improved my writing in one specific area for this book. My biggest criticism from the first book was that it was way, way too technical. That I should consider writing for people who enjoy reading user manuals. Fair enough. Not that I shied away from writing another primer on cyberwar, but I’ve employed a number of tricks to make the learning more digestible. Despite my confidence on improving in that area, I find it impossible to know if I’ve written a good story or not. I’m too close to it. I’m certain Stephen King never scared himself with his own novels. I’ll find some help on that. I’m targeting completion of a second draft by end of winter, seek out my ‘ole editor, and maybe publish in the spring.